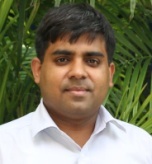 Alok Kumar is working as an assistant professor in the area of Quantitative Techniques and Operations Management at FORE School of Management, New Delhi. He has been awarded Ph.D. degree in operational research in the area of inventory management at University of Delhi. His area of research interest is developing mathematical models in the field of inventory management. He has several years of teaching and research experience and has taught several papers in the area of business management such as business statistics, operations research, business research methods and operations management. To his credit, there are more than 15 articles which have been published in international journals of high repute, several articles are published in conference proceedings and numerous articles are published as book chapters and working papers. He has also conducted MDP in the area of decision making through quantitative techniques, written Business Communication and FDP on Machine Learning & Data Analytics. 1) Chanda, U. and Kumar, A. ( 2017) ‘Optimization of Fuzzy EOQ Model for Advertising and Price Sensitive Demand Model under Dynamic Ceiling on Potential Adoption’, International Journal of Systems Science: Operations & Logistics, Published online: 24 Feb 2016, Taylor & Francis. 2) Kumar, A. and Chanda, U. ( 2017) ‘Effect of Shape of the Demand Function and Permissible Delay in Payments on Economic Order Quantity of High Technology Products’, International Journal of Services and Operations Management, Forthcoming. (Index- ABS, ABDC, Scopus, Scimago). 3) Kumar, A. and Chanda, U. ( 2017) ‘Economic order quantity under permissible delay in payments for new products in dynamic pricing-advertising condition, International Journal of Business Innovation and Research, Forthcoming, (Index- ABDC, Scopus, Scimago). 4) Kumar, A. and Chanda, U. ( 2016) ‘Economic order quantity model for new product under fuzzy environment where demand follows innovation diffusion process with salvage value’, International Journal of Procurement Management, Vol. 9, No. 3, pp.290-309. (Index- ABDC, Scopus, Scimago). 5) Aggarwal, K.K. and Kumar, A. (2014) ‘Economic order quantity model with innovation diffusion criterion under influence of price dependent potential market size, International Journal of Innovation and Technology Management’, Vol. 11, No. 5, pp. 1450028-1-25. (Index- ABS, ABDC, Scopus, Scimago). 6) Aggarwal, K.K. and Kumar, A. (2013) ‘An Inventory Decision Model for New Products when Demand depends on Dynamic Advertising Expenditure’, International Journal of Logistics Systems and Management, Vol. 15, No. 4, pp. 424-444. (Index-ABDC, Scopus, Scimago). 7) Kumar, A., Aggarwal, K.K. and Chanda, U. ( 2013) ‘Economic order quantity model under Fuzzy sense with Demand follows Bass’s Innovation Diffusion process’, International Journal of Advanced Operations Management, Vol. 5, No. 3, pp. 261-281. (Index- Scopus, Scimago). 8) Aggarwal, K.K., Jaggi, C.K. and Kumar, A. (2012) ‘Economic order quantity model under Fuzzy sense When Demand follows Innovation Diffusion process having Dynamic Potential Market Size’, International Journal of Services and Operations Management, Vol. 13, No. 3, pp. 361-391. (Index- ABS, ABDC, Scopus, Scimago). 9) Aggarwal, K.K. and Kumar, A. (2012) ‘An inventory model for new product when demand follows dynamic innovation process having dynamic potential market size’, International Journal of Strategic Decision Sciences, Vol. 3, No. 4, pp. 78-99. (Index- ABDC-(B)). 10) Chanda, U. and Kumar, A ( 2011) ‘Economic Order Quantity Model with Demand Influenced by Dynamic Innovation Effect’, International Journal of Operational Research, Vol. 11, No. 2, pp. 193-215. (Index- ABS, ABDC, Scopus, Scimago).